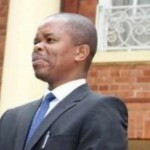 Yesterday at Ebenezer during the prayers called by Lungu, Bwacha constituency PF candidate Sydney Mushanga accused us of being responsible for his declining popularity which he is fast losing to UPND’s Saidi Chibwana. Mushanga also alleged that we are unethical. Initially we didn’t want to respond to stupid frightened little men like this deputy minister of higher education who failed his grade twelve and only possesses a three months certificate in pre school teaching. 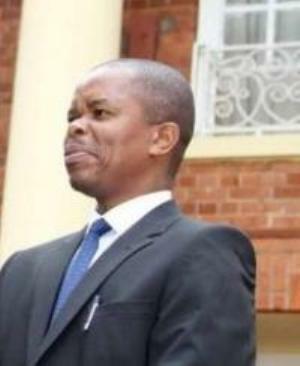 Mushanga must direct his efforts at clearing his name over the HIV/AIDS money he stole from Kara Counselling where he was attached as a volunteer. He must also clear his name over the adulterous sexual affair he is having with another finished woman and his predecessor Reverend Gladys Nyirongo’s daughter Towers who is also married. We know which hospital Towera and Mushanga had the two months old pregnancy terminated, with full knowledge of Gladys Nyirongo. We challenge them to refute this within 24 hours. We are also aware that this adulterous twig Mushanga has impregnated three college girls and was recently summoned by the father to one of the girls and after the child was born he stubbornly requested for a DNA test to be done and he knows the results. Don’t push us too far Sydney Mushanga. You are a product of poor background brought up by selling buns and fritters at Bwacha market and don’t grow so big headed. We know Saidi is causing you nightmares and even want to withdraw the case in which you have dragged him and his brother Haroon for malicious damage falsehoods but you are so intimidated. We give you 24 hours in which to retract your stupid utterances at Ebenezer or face our full weight. Meanwhile, we shall be at court tomorrow as you prepare to withdraw that case against the Chibwana brothers though we need to educate you a bit, this is a criminal matter and not civil where you can just waste the court’s precious time and hope the prosecution declines to withdraw the matter so that your stupidity is exposed at trial and cross examination.